As the body ages, the natural lens of the eye loses part of its elasticity, and presbyopia (loss of reading vision) begins to develop. Until recently, the only solutions to the loss of reading vision were reading glasses or bifocals, but the Herzig Eye Institute offers several other treatment innovations to improve your eyesight with laser eye surgery. Herzig Eye Institute has been providing these options since the mid -’90s. Our founding surgeon, Dr. Herzig is a world-renowned pioneer in refractive surgery dating back to 1989. This has enabled Herzig Eye Institute to be a world leader in refractive surgery providing new technology and innovations to help patients eliminate the need for reading glasses. Laser Vision Correction is one of the most exciting technological advances in the history of eye care. There are two ways of utilizing this extraordinary technology, LASIK and PRK. Both procedures are performed by an ophthalmologist specializing in Laser Vision Correction. At the Herzig Eye Institute, LASIK is the most frequently used procedure for laser vision correction. LASIK stands for “Laser Assisted In Situ Keratomileusis.” A wide range of myopia, hyperopia, and astigmatism can be corrected by the LASIK procedure. It is a delicate surgical procedure that allows for a very predictable healing response. Your vision stabilizes rapidly, and you can expect to have little or no discomfort following LASIK. Most patients have driving vision within 24 hours of treatment. The IntraLase Method is a 100% blade-free approach to creating a corneal flap. The computer-guided Intralase® laser delivers rapid pulses of light, a quadrillionth of a second each, to a pre-programmed depth and position within your cornea. Each pulse forms a microscopic bubble. As the Intralase® laser moves back and forth across the eye, the bubbles connect to form a corneal flap. The surgeon then lifts the flap where these bubbles have created a smooth surface. After gently lifting the corneal flap, the surgeon uses the computer-guided excimer laser to precisely reshape the cornea for corrected vision. PRK (photorefractive keratectomy) is the same laser procedure as LASIK. It differs, however, in how the cornea is prepared for the laser treatment. With PRK, surface cells are removed and the laser is applied. PRK is commonly referred to as “surface ablation,” meaning a laser procedure that is applied to the surface of the cornea. The cornea is too thin for LASIK. A pre-existing problem is present on the cornea, which can be eliminated with PRK and result in better vision than LASIK. There is a structural abnormality in the cornea that makes LASIK unsafe. The Herzig Eye Institute also provides the most recent technological advancements for Advanced Refractive Cataract Surgery, allowing patients to regain their full range of vision, including reading vision, by using multifocal and extended range intraocular lenses. Dr. Herzig is a pioneer in the use of the TECNIS® Symfony lens, the first and only extended range of vision intraocular lens (IOL) to correct presbyopia and improve vision in people with cataracts, as well as correcting far, intermediate, and near vision, with the decreased need for glasses. Other scientific advances include the permanent insertion of artificial lenses to correct eyesight, including Refractive Lens Exchange (RLE) and Intraocular Collamer Lens (ICL). RLE is the same procedure as modern cataract surgery, the most common surgical procedure in North America. In the first part of the procedure, using ultrasound, the surgeon removes the patient’s natural lens, leaving the capsule of the lens behind. Then, a prescription intraocular lens (IOL) is inserted into the capsule of the lens. ICL is a very thin intraocular lens designed to rest in front of the eye’s natural lens, just behind the iris. Before inserting the lens, the eye is made numb using anesthetic eye drops, and there is very little discomfort associated with the procedure. The surgery typically takes 15 to 20 minutes to perform, and both eyes can be treated on the same day. 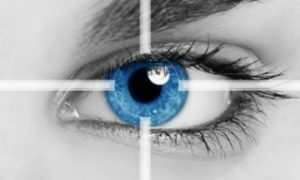 To determine which procedure is right for you, a comprehensive assessment by a Herzig Eye Institute eye doctor is conducted utilizing state-of-the-art technology. Most other facilities don’t offer more than one option. When you come to the Herzig Eye Institute, you can take comfort in knowing that our surgeons are not limited by a single procedure. Our promise is to help you achieve your best possible vision. The Herzig Eye Institute’s High Definition Vision® solutions are about you achieving a level of vision that is most often better than with eyeglasses or contact lenses.